When we last heard from Widowspeak in 2011, their warm, nostalgic sound captured the ears of music lovers who reveled in their interpretation of the dream pop genre. Their second album, Almanac, creeps into the listener’s consciousness like a scene from a 1970s movie: subdued ambience, flickers of light, soft focus. The fuller, richer arrangements are a welcome evolution from their ghostly, gossamer aesthetic. The songwriting collaboration between Molly Hamilton and lead guitarist Robert Earl Thomas begs the listener to revisit the past and look to the future, a perfect complement to Hamilton’s soft, haunting vocals. They blend in with the western feel of songs like “Dyed In the Wool” and “Minnewaska.” “Sore Eyes” is the lone song that captures the darkly nuanced dream-pop of their debut, and it’s one of their more beautiful tracks. 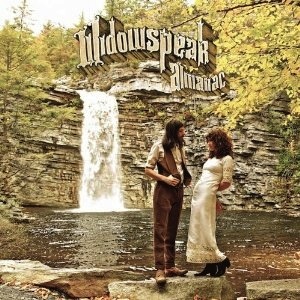 Almanac is a solid second album, and we love that Widowspeak is treading softly, steadily, into this Americana-Gothic realm.